·         "When I was in middle school, some of my so-called friends found a catalog ad I did for Superman pajamas. They made as many copies as they could and pasted them up all over school." - on his most embarrassing moment. ·         Being from Texas, I would say I favor a pair of jeans you can wear some boots with. ·         [on Dean Winchester&apos;s reaction to his father&apos;s death on Supernatural (2005)] "A lot of issues, yeah. Dean&apos;s definitely having issues on camera. I&apos;m just having issues because I don&apos;t get to hang out with him [Jeffrey Dean Morgan, who played John] anymore". ·         I love the smell of shampoo on a girl&apos;s hair. You can walk past someone and be like, &apos;Wow, you took a shower this morning, didn&apos;t you? Because you smell lovely! ·         I&apos;m a mad Gummi fan. I always have Gummis in my trailer. But you can&apos;t eat too many because then you get Gummi tummy, and that&apos;s no good. I can&apos;t believe I&apos;m saying this. ·         [on 9/11] 9/11 was unreal. I happened to be in Canada at the time and really didn&apos;t get a sense of how awful it really was until a few days later when it hit me like a ton of bricks...that the place I call home, the country that is invincible, my country of pride and freedom, the place we all feel safe, had been completely violated. I immediately jumped on a plane and flew to be with my family. It really frightened me. I pray to God that this new evil in our world will be abolished quickly. ·         On working with Jared: Jared and I are lucky to get along so well without having any effort to make. One day, the producers came to see us and told us they had never worked with actors who got along so well. 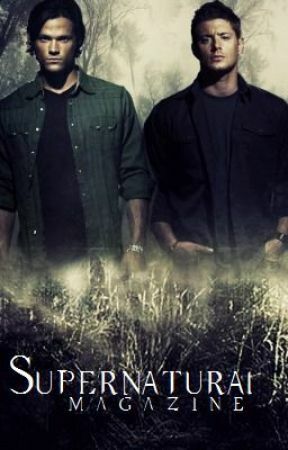 It gives us the opportunity to make the relationship between Sam and Dean have credibility. I think the audience feels how much Jared and I like being together. ·         Some people will go to the opening of an envelope. They live their lives in the public eye and get off on it, they need it. They need that kind of adoration. If their name isn&apos;t in the tabloids once a week they feel like a failure. I choose to live a more private life, as does Jared [Padalecki]. We just don&apos;t believe in that sort of thing of &apos;it doesn&apos;t matter what they&apos;re saying so long as they&apos;re talking about you&apos;. 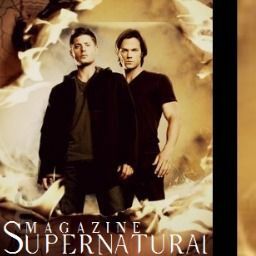 Jared Tristan Padalecki is born in 19 July 1982  in San Antonio, Texas to Gerald and Sherri Padalecki. His father is of Polish descent, while his mother has German, Scottish, French, and English ancestry. He has an older brother, Jeff, and a younger sister, Megan. He started taking acting classes at the age of 12. He attended James Madison High School in San Antonio and was named a candidate for the 2000 Presidential Scholars Program. In 1998, Padalecki and his partner Chris Cardenas won the National Forensic League national championship in Duo Interpretation. Padalecki won FOX&apos;s 1999 "Claim to Fame Contest"; he subsequently appeared at the Teen Choice Awards, where he met his current manager. After graduating from high school in 2000, he moved to Los Angeles, California to pursue an acting career, although he had originally planned to attend the University of Texas. He played "Dean Forester" on Gilmore Girls (2000) on the WB starting in 2000 and ending in 2005. From 2005 to now, he has portrayed "Sam Winchester" on the CW&apos;s Supernatural (2005). He also has several feature film credits. Jared married his former Supernatural co-star Genevieve Cortese on February 27, 2010 in Sun Valley, Idaho. He and his wife are currently residing in Vancouver, British Columbia, Canada. On October 10, 2011, he announced they were expecting their first child. The couple&apos;s son, Thomas Colton Padalecki, was born on March 19, 2012. On July 21, 2013, via Jared&apos;s twitter, it was confirmed that the couple are expecting their second child. He likes the movie ‘Good Will Hunting’ (1997). Has the same manager as Freddie Prinze Jr.. He and classmate Chris Cardeans together won the National Forensics League national championship in Duo Interpretation in 1998. He and his Supernatural (2005) co-star Jensen Ackles were voted People Magazine&apos;s "Sexiest Ghostbusters" in 2005. Had the same speech coach in high school as Matt Bomer. "Anywhere I can be with my family" - Jared on the happiest place on earth. "I&apos;m so happy with my family, my career and my friends, and I&apos;d like for them to be here forever, so I guess loss is what scares me the most. - On the thing that scares him the most. I&apos;m a little self-conscious about my body. I love to wear hoodies because you can get cozy and eat some food and your belly doesn&apos;t show! When asked about his superstitions: "Whenever I drive under a yellow light, I always kiss my finger and tap it on the roof of the car. And I do that when I get onto a plane as well!" On love: "Don&apos;t place expectations on someone. Enjoy the time you have together, and let it go where it goes." Just be yourself and the right guy will come along, whether it be today, tomorrow, or next year. It&apos;ll happen!